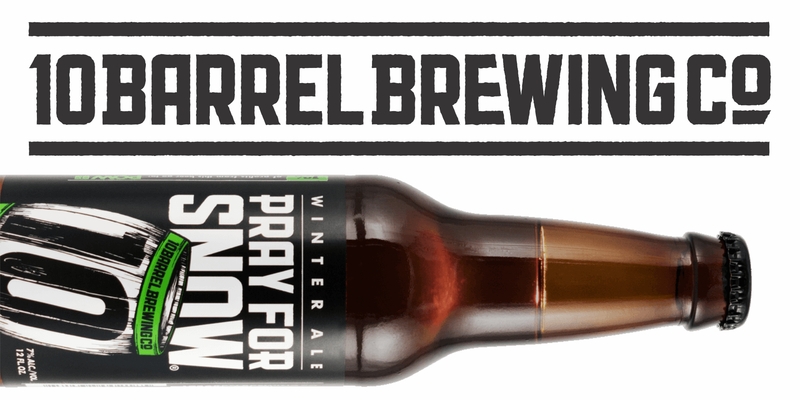 Christmas is next week, so it’s time to start praying for snow with 10 Barrel‘s Pray For Snow. This delicately balanced Strong Ale starts with dark copper color mixed with slight reddish hues and a light tan head. Its big malty aroma with a Munich character give way to a slight caramel & toffee mixed with spicy noble hop aroma, all wrapped together with a medium-bodied mouth feel. 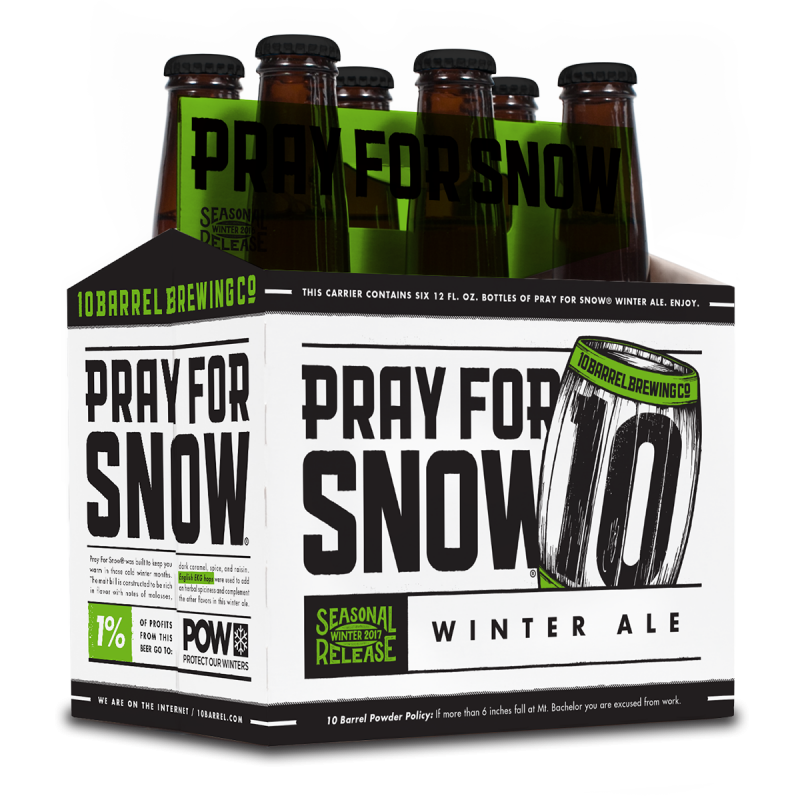 German malt flavor profile with slight roasty notes give Pray for Snow a subtle toffee sweetness balanced with spicy hop bitterness and slight alcohol warming. Please serve appropriately in a classic snifter. Or just drink straight from the bottle; we really don’t mind. Need help finding where to purchase Pray For Snow? Click here!